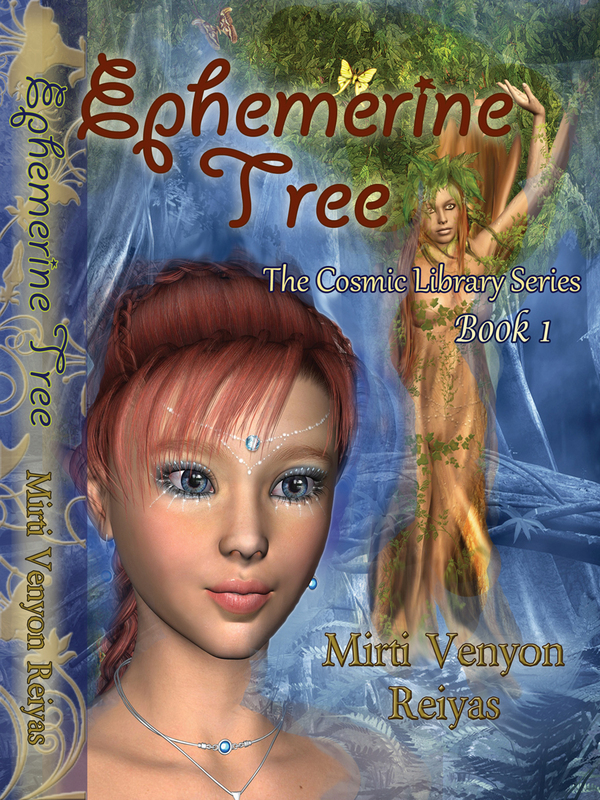 Ephemerine Tree has all the elements that young adults love in a fantasy novel – planets on the verge of destruction, portals through time and space, and an exciting world with its own inventive vocabulary. But it carries a message that any age reader will feel better after reading. A being from a higher realm, Rainyun, comes down to the planet, Atrea, to help Eda find both her life mission and her life mate, Matt, who has been dematerialized (there’s a lot of great quantum physics in the story) by scientists ruining the environment in search of fuel (sound familiar?). They find Matt in California, riding motorcycles, unaware of his true destiny until these two other-worldly beauties take him through tree portals, into healing stations to reactivate lost DNA, and more adventures, so he and Eda can plant a seed on Atrea to realign the planet with a better path. Throughout the book, I loved being reminded of what the author calls Newton’s Law of Motion: For every action there is an increased but similar action. So, focus on what you want, not on what you don’t want, because you’ll get more of what you focus on. The New Age concepts of creative visualization, manifestation, the components of love, and reconnecting to higher consciousness are all included in the plot, which moves along quickly to a very satisfying conclusion. I’m still smiling, imagining that our planet can also be saved. The author, Mirti Venyon Reiyas, answered my questions about her beautiful work. There isn’t any one underlying message – there are several layers of meaning that can be discovered, depending upon the reader. Reading is a co-creation and one can only discover what already exists or what is due to manifest in one’s own hologram. Each time I read Ephemerine Tree a different aspect comes to mind! The last time I edited it, it was a love of trees that appeared. Prior to that it was a deep connection with our expanded Incarnations. I do hope that others that draw this book into their hologram will also find something in it for them – even if it’s just relaxation! BECCA: What inspired you to write the book? I love fantasy but find most fantasy books, or even metaphysical fiction books, to be filled with a frequency of competitiveness, fear, darkness and anxiety. Even if it is the “good” that “wins” in the end, the 200 pages that come before the end are filled with writing that attracts darker energies into one’s aura. I understand this is the popular trend on the planet, and to make money one has to write that type of book. Yet there are a number of people like myself that have almost given up on reading fantasy books because they are always a repetition of the same horror/battle/survival of the fittest/trauma/dystopian/violence – then finally light in the last chapter – theme with excruciating graphic details…So I decided to add books to the scarce Positive Visionary Fantasy genre. I wanted to write a good story based on positive thinking, a fun story that is intriguing but without the heavy undercurrents. A peaceful, fun, positive and joyful experience! From my meditational journeys and connection with my Higher Selves. I owe a lot to Keylontic Science and E’Asha Ashayana (formerly Ashayana Deane) for knowledge gained from her coherent and all-encompassing metaphysical paradigm. I don’t make any direct references to her work, but her work is the underlying inspiration in my life. Her Attitudes and Responsibilities of Mastery are wonderful guidelines to live and write by! See: http://www.azuritepress.com/techniques/attitudes_responsibilities.php. BECCA: Any advice for others who feel they have inspiration to share? Oh, yes! I am an avid reader myself and am looking forward to reading more positive, light-hearted fantasy books for adults. Please put your inspiration down on paper! I loved your book “Chakra Secrets.” I felt it was a frank and sweet story of the spiritual search that many of us undergo in our lives. Ephemerine Tree is available in Kindle and paperback on Amazon.com and will be released in audio format in November 2012. It is being recorded by Redplanet Audiobooks.